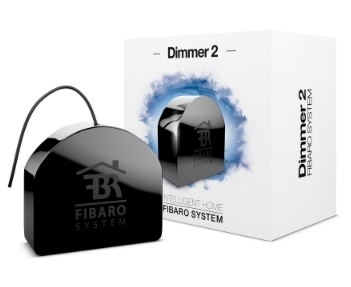 FIBARO Dimmer 2 insert module can be fitted into an existing switch enabling you to wirelessly control lights. The new Dimmer 2 can measure the power usage on the dimmer and It automatically selects the most optimal dimming type (trailing-edge or leading-edge) based on the bulb type used. It measures the power being used by the connected device. It is fully Z-Wave Plus certified and offers increased range, extended battery life and Over The Air upgrading. Energy Monitoring - The FIBARO Dimmer 2 provides a real-time report of energy usage to your Z-Wave central controller. You can see how much power is being used and make decisions on how to save energy (and money), you can also look at historical information, display them in charts and look at your top-5 power hungry appliances.